So what is biomimicry? Basically biomimicry is using designs seen in nature to benefit us. Without most people realising it, we have always used nature and the way it has evolved to solve problems and be more efficient. 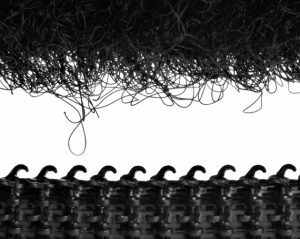 Something as simple as Velcro is an example of biomimicry. In 1941, Velcro was invented by Swiss engineer George de Mestral. After removing burrs from his dog once again, George decided to take a closer look at how they worked. 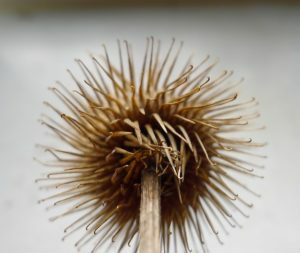 The small hooks found at the end of the burr needles inspired him to develop the now widely used Velcro! How does biomimicry apply to sharks? What have we gained from studying them? Shark skin is the answer. Engineers have been looking in to the design of shark skin and how its properties can help us. The skin of a shark is made up of tiny overlapping scales known as dermal denticles (skin teeth). Each denticle has grooves running along its length which allows water to flow faster, preventing the formation of small whirlpools which would slow the sharks down. In 2000 Speedo developed a swim suit based on the skin of sharks. In the 2008 Olympics 98% of swimmers who won Gold were wearing the shark skin swim suit and within 2 years of its introduction nearly 200 world records had been set wearing it. It has since been banned from competition swimming due to being seen as technology doping!! 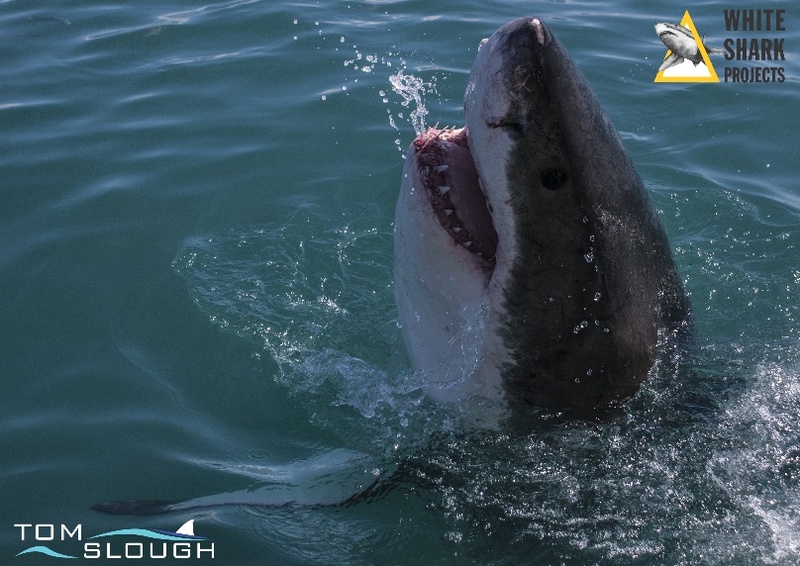 As well as having these excellent hydrodynamic advantages the design of the sharks dermal denticles can also provide the same benefits through air, therefore providing us with more ways in which it can be used. IFAM researchers have developed a shark skin mimicking paint that could be used to advance many modern day industries. The paint can function under extreme temperatures, UV radiation and high speeds. This would therefore make it perfect for planes, boats and even wind turbines. The developers claim that if every airplane in the world were to be painted with this shark skin paint, 4.48 million tons of fuel could be saved annually. At sea, wall friction on sea vessels can be reduced up to 5%, potentially saving a large container ship around 2,000 tons of fuel per year. On top of this, a company called SkinzWraps has created a coating for cars, and claims a 18-20% improvement in Miles per Gallon! But that isn’t where the benefits of mimicking shark skin ends! It is known that shark skin keeps away many forms of parasites and bacteria as they are unable to settle due to the design of the dermal denticles. This has now lead to a big push for the design to be used in the medical industry!! Yes, you read right! Sharks could now not only be doctors of the ocean but help our doctors and medical industry too! Sharklet Technologies have developed a plastic sheet that can be placed on work surfaces which has a design mimicking shark skin. This film is the first “surface topography” proven to keep the bugs at bay. In tests in a California hospital, for three weeks the plastic sheeting’s surface prevented dangerous microorganisms, such as E. coli and Staphylococcus A, from establishing colonies large enough to infect humans. As we learn more about sharks, I’m sure that we will only find out new ways in which their design can help benefit us. Only recently, secrets of the Great White sharks DNA have been unlocked showing us how they are able to recover from injuries rapidly and keep their genome stable making cancer and age related disease far less of a threat than it is in humans (which comparatively suffer high rates of genome instability caused by accumulated DNA damage, making us more vulnerable to cancer and age related disease). All of this can be done without the need to kill millions (70-100 million) of sharks each year and just provides another argument as to why we need sharks!